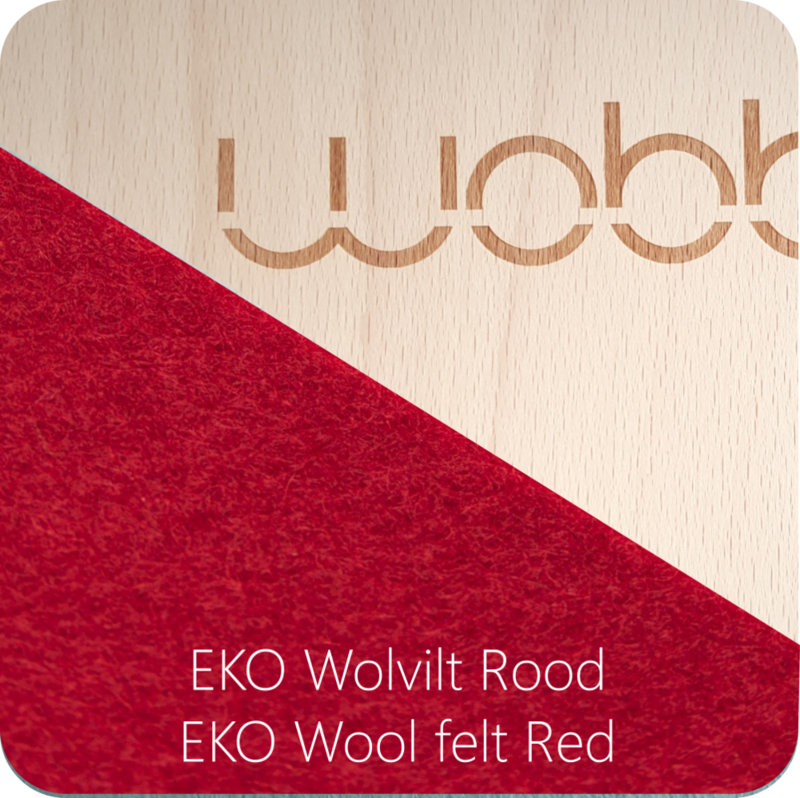 Wobbel Original, transparent lacquer without felt. Also available with mouse gray, sky blue, forest green, red, raspberry, bark, black, aqua, mint, powder pink, mustard and gray 100% EKO felt. 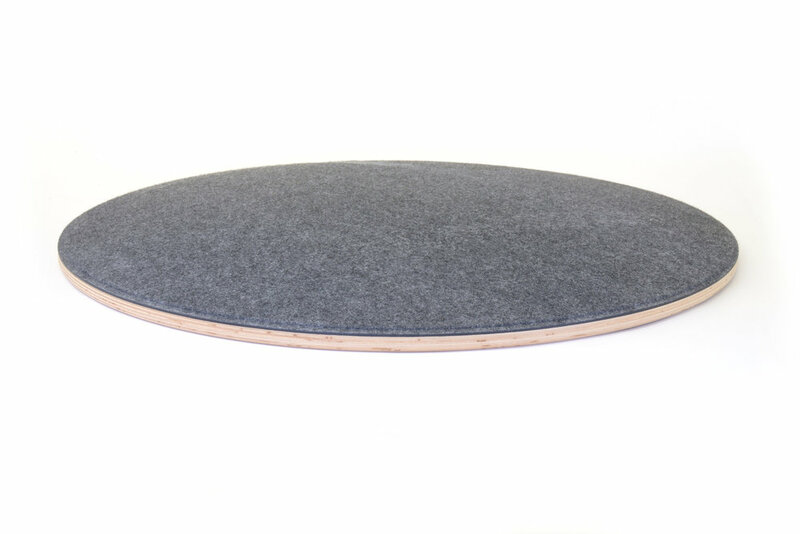 Wobbel 360 without felt. Also available in bamboo. Also available with baby mouse and gray 100% PE felt. Wobbel Original, linen-whitewash without felt. 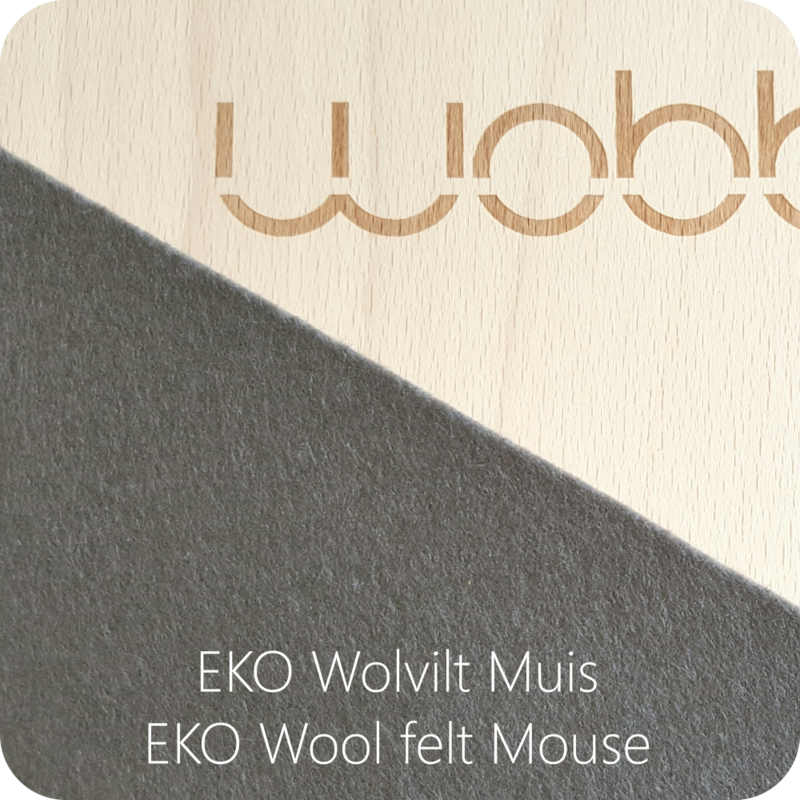 Also available with mouse gray 100% EKO felt. 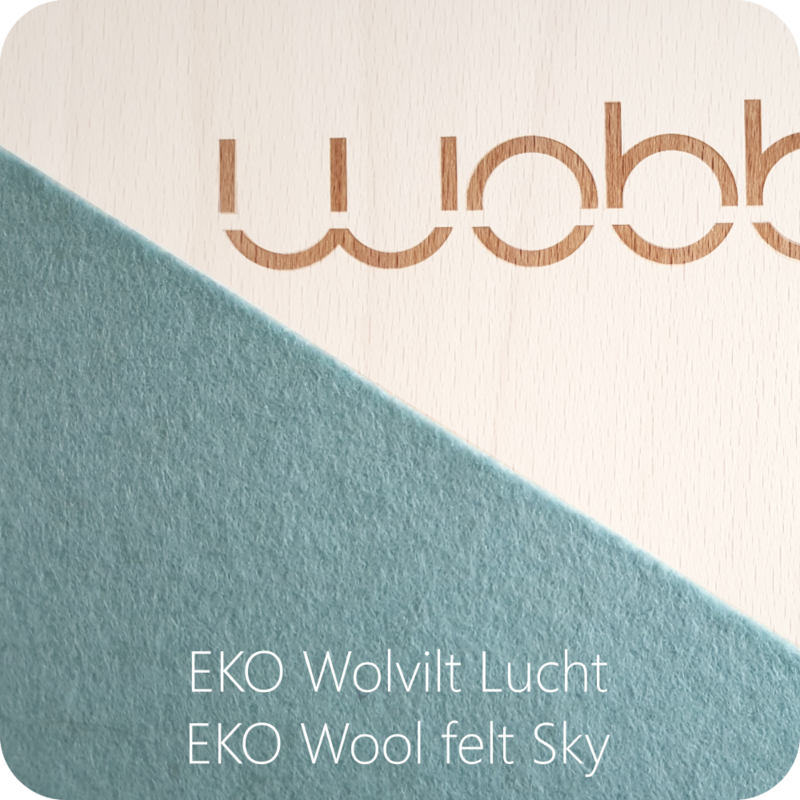 Wobbel Bamboo with forest green 100% EKO felt. 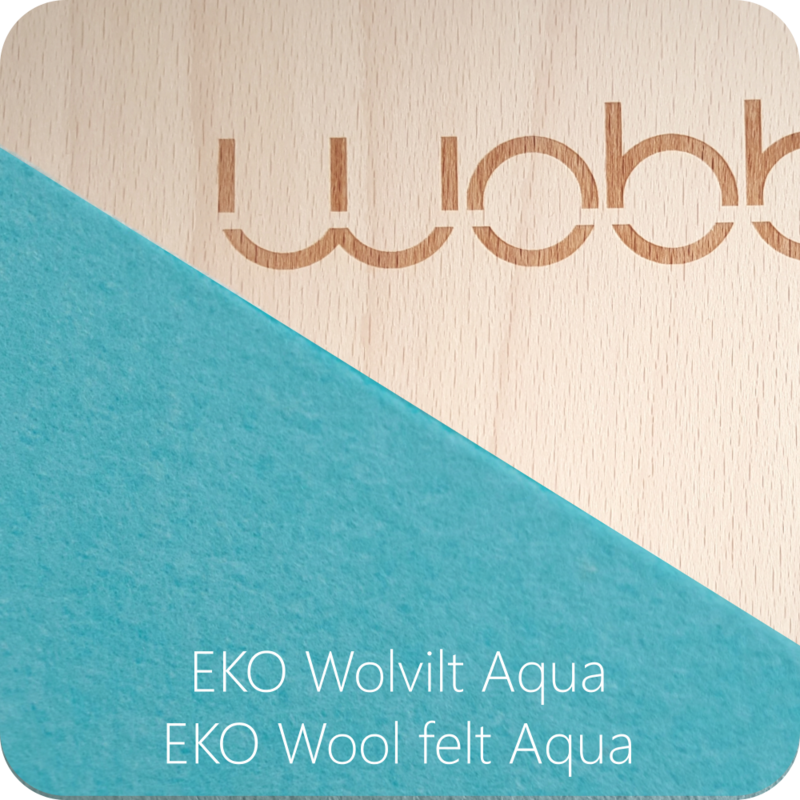 Wobbel XL, transparent lacquer without felt. Also available with Baby Mouse 100% PET felt.